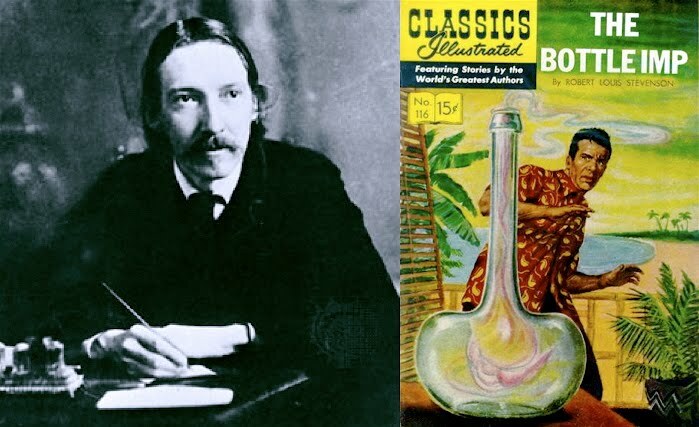 In Robert Louis Stevenson's story “The Bottle Imp,“ the titular imp will grant its owner (almost) any wish, but if the owner dies with the bottle then he burns in hell. He may sell the bottle, but he must charge less than he paid for it, and the new buyer must understand these conditions. Now, no one would buy such a bottle for one cent, as he could not then sell it again. (The imp can’t make you immortal, or support prices smaller than one cent, or alter the conditions.) And if 1 cent us too low a price, then so is 2 cents, for the same reason. And so on, apparently forever. It would be irrational to buy the bottle for any price. But intuitively most people would consider $1,000 a reasonable price to pay for the use of a wish-granting genie. Who's right? Side note: I learned about "The Bottle Imp" after someone pointed out that a short story, "Miniature Bottle", which I wrote for the anthology Significant Objects: 100 Extraordinary Stories About Ordinary Things, reminded them of Stevenson's story.